Audi India will be starting the new year with their first launch, the new-gen Q5 on January 18, 2018. The compact premium SUV made its world premier at the Paris Motor Show last year. 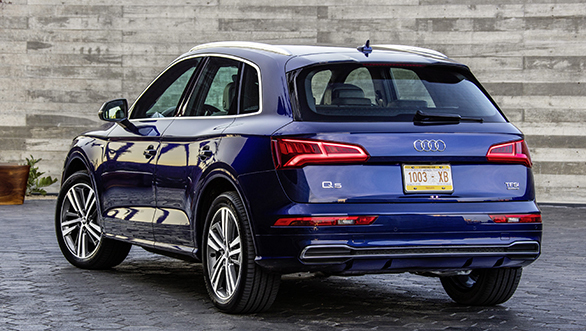 Among the changes, the new Audi Q5 gets a design much similar to the flagship Q7 SUV. Additionally, it will be kitted with many premium features to take on the competition more aggressively than before. The important bit about the new-gen Audi Q5 is its underpinning which is the new MLB platform, that has made the SUV lighter by 100kg. The influence of the Audi Q7 on the new Q5 can be seen with the single-frame front grille that dominates the facia. The pillars continue to be raked at un-SUV like angles. The Q5 benefits from the Matrix LED headlights which are technological marvels in themself but not unseen before. At the rear the tail lights get a makeover too with sequential LED elements. The boot gets an electronically controlled tailgate as standard and can accommodate 550 litres of luggage expandable to 1,550 litres with the rear bench folded. The changes insides definitely have a far greater aesthetic impact on passengers. 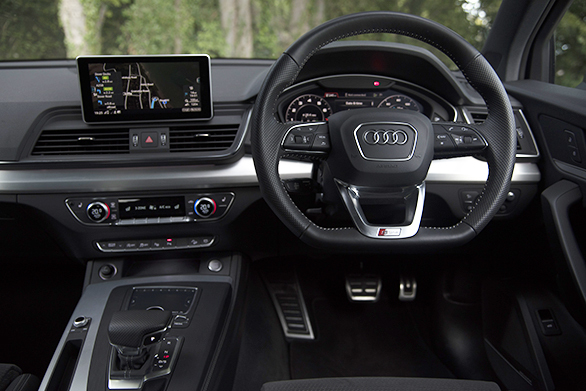 The MMI infotainment system has been tweaked to make it more user-friendly, and it now incorporates the Audi Smartphone interface which caters to both Android and Apple. 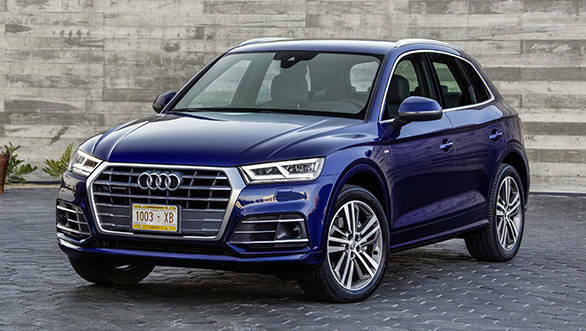 From the images, it can be seen that the new Audi Q5 has not completely transformed from its previous version but does get its own distinct bits. In India, the new-gen Audi Q5 will be offered with a 2l diesel and a 2l TFSI turbo-petrol engines. We have already sampled these motors, read our detailed exclusive first drive report here. The German car manufacturer sold a total of 7876 units in 2017, which also happened to mark the company's ten years in the country. The company had launched the Audi A3 Sedan, A3 Cabriolet, Q3 SUV, A4 TDI, Q7 40 TFSI, A5, A5 Cabriolet and S5 in 2017.